"Who’s there?" "Pizza." See and talk with visitors at your front door from any location in your home. 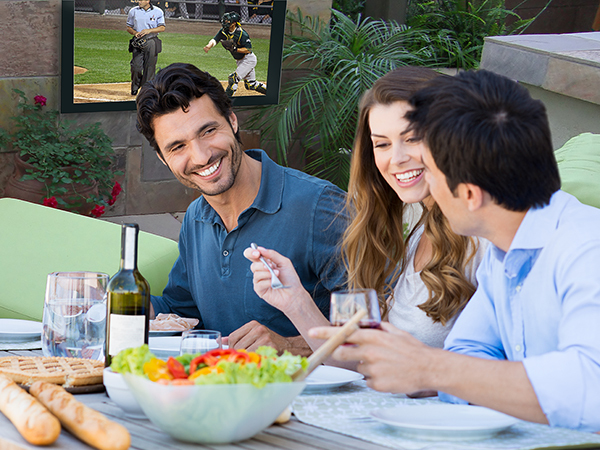 Outdoor TV and music at a volume everyone can enjoy. What is home automation? It's not a trick question! When customers call APS Security and ask how they can simplify their lives with home automation, they're often unsure what automation actually is.... With years of experience in both the manufacturing world through to the design and installation of Security, Smart Home and AV integration services APS Security Ltd, of Amarillo have created this overview of our services to help you choose just how "automated" you want your home or business to be…. 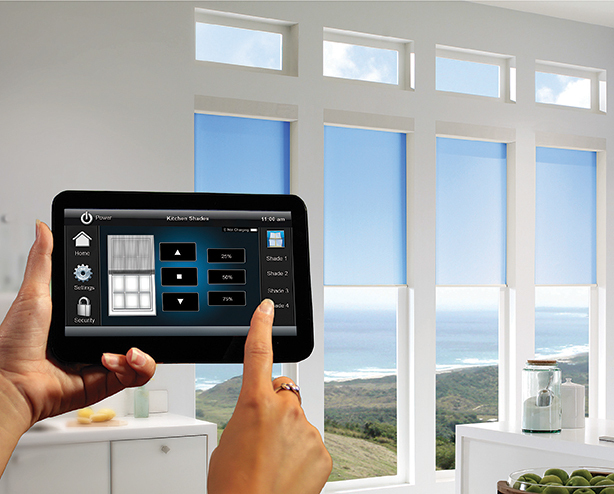 Enjoy technology that’s simple to use in a few rooms, or just one room. You always have the choice to start in one area or a couple of areas and grow later thanks to our modular approach. We can help you determine the best solutions in new construction and retrofit projects. Explore the possibilities and find out how you can experience enhanced convenience, comfort, security, and pleasing aesthetics in your home with APS Security Ltd right here in Amarillo TX. The Authority on Amarillo Smart Homes. We cannot deny, that kitchens are the hub of most homes and you can swap ambiance of the space for cooking, breakfast, cleaning, entertaining, doing homework, or reading. Imagine pressing “Create” on keypad when you walk into the room and your favorite music playlist begins, shades raise to fill the room with natural sunlight. You can keep an eye on the kids from your iPad and see who’s at the door when the doorbell rings. Let them know dinner is ready instead of shouting use the easy intercom and so much more. Have the ultimate lifestyle and comfort with convenience throughout your entire Amarillo home with smart home technology, walk from room to room to adjust Music, Lighting, Movies and TV Shows, shades and temperature, in any room. When you leave for work in the morning, press the “Leave” button to turn off all the lights, lock doors, arm the security system, set the temperature, lower shades. Entertain with the touch of a button no more having to run around the home to set lighting levels and volume for music, create the perfect scene every time. All this from an easy-to-use touch screen, a remote, a keypad or straight from mobile device, control of your entire house is at your fingertips. It’s a beautiful Amarillo afternoon, have family and friends over for a barbeque, enjoy your favorite game and later wind it down with some great music; perhaps take a dip in the pool or tub. We have a generous selection of products that meet all budgets built to handle the outdoor elements of our town without compromising the performance. Add music, video, lighting and more to make the perfect entertainment space or a personal escape for relaxing after a long work day.